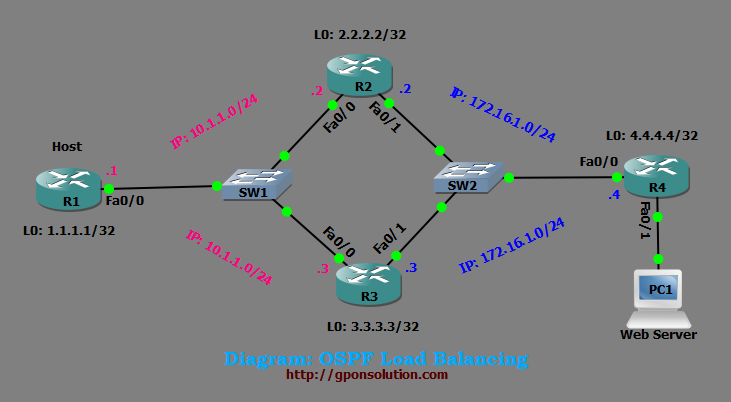 Now lets go our OSPF Load Balancing Configuration part……….. When i type show ip route command in router R1 then we found OSPF reach R4 via two path. After we do a TRACEROUTE to the destination we can see that the packets are passing trough two routers and thus load balancing the traffic. 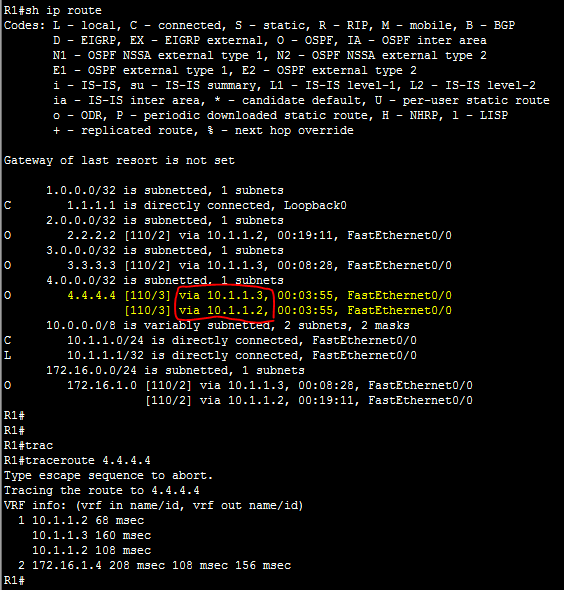 So our configuration part is ok.
Now we disable OSPF Load Balancing by maximum-paths command. 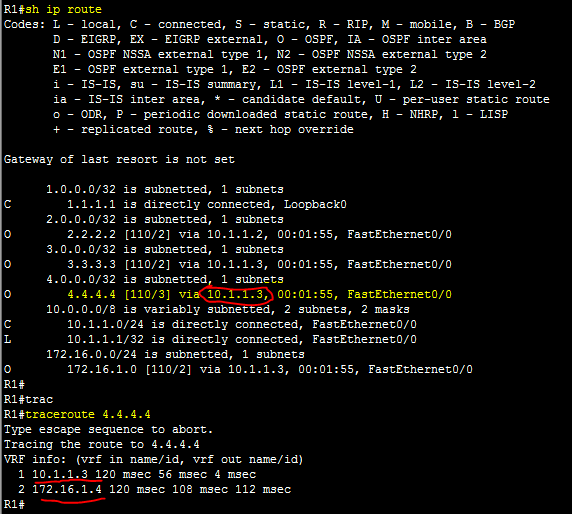 Again when i type show ip route command in router R1 then we found OSPF reach R4 via one path. Also after we do a TRACEROUTE to the destination we can see that the packets are passing trough one routers so load balancing is not working. OSPF can be also tuned under the interface level configuration. This can be done using the command syntax: ip load-sharing per packet. Important thing to remember is not to disable CEF on the routers, in that case you can use up all of the CPU resources. This is done , when routers needs to calculate all over again in the routing table for every load balanced network. If any one face bellow message in GNS3 environment,please follow bellow steps. The above md5 digest key settings have stopped the errors from occuring.